Prosperity. 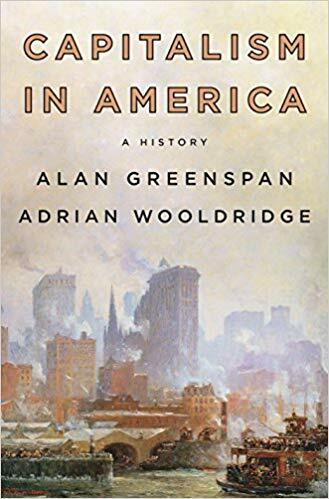 Former Federal Reserve chair Alan Greenspan and journalist and historian Adrian Wooldridge have written an economic history for general audiences titled, Capitalism in America: A History. The core message is no surprise: creative destruction leads to prosperity. Let those forces happen without picking winners and losers. Avoid protecting jobs and companies whose time has passed, and don’t overregulate. Let the old ways give way to the new. Readers who enjoy history, economics and public policy are those most likely to enjoy reading this book. Rating: Four-star (I like it) Click here to purchase Capitalism in America from amazon.com. Lost. 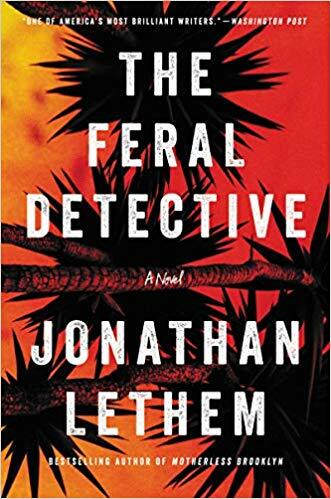 We are all lost in one way or another and often unmoored, so give in to that sensation as you read Jonathan Lethem’s novel titled, The Feral Detective. Narrator Phoebe Siegler has been lost since Trump’s election, so just before the inauguration, she leaves NYC ostensibly to find Arabella, the daughter of a friend who has gone missing. In the mountains and deserts of California, she enlists Sam Heist for help. He’s the detective. Their road trip pulls readers into unexpected places, where we remain lost and somewhat confused. I love Lethem’s finely written prose: often his perfect sentences provided an oasis when I was lost with the characters in the desert. Fans of literary fiction who also enjoy a good noir detective story are those readers most likely to enjoy this novel. Rating: Four-star (I like it) Click here to purchase The Feral Detective from amazon.com. Delightful. Ben Schott has written a worthy tribute to P.G. 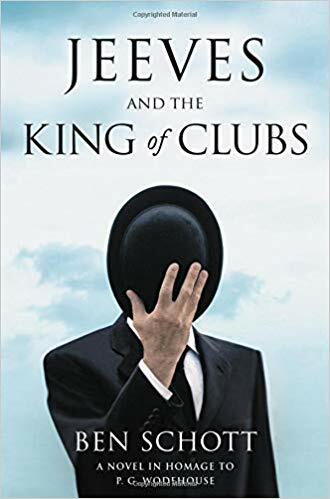 Wodehouse by reprising Jeeves and Bertie Wooster in a new novel titled, Jeeves and the King of Clubs. I realized how delighted I was by this novel when I often forgot that it was Schott not Wodehouse who wrote it. Every aspect of character, plot and language seemed true to Wodehouse, and I totally enjoyed a worthy installment to the Jeeves canon. The diversions are as enjoyable as the direct plotline, consistent with the Wodehouse novels. Fans of Jeeves and Wooster as well as Wodehouse are those readers who are most likely to enjoy this homage, and who are most likely to take Schott to task in some areas. I was delighted. Rating: Four-star (I like it) Click here to purchase Jeeves and the King of Clubs from amazon.com. Humanity. Surgeons are people, too. 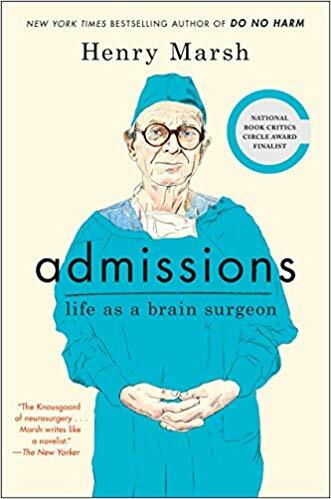 In his memoir titled, Admissions: Life as a Brain Surgeon, brain surgeon Henry Marsh reflects on his life and work with candor and a dose of humility. He talks about his mistakes, and the consequences of those errors on his patients. Beyond his work in England, Marsh describes different conditions during pro bono work in Ukraine and Nepal. His frustrations about working in Ukraine come across with clarity and compassion: caught between the need to do the work while knowing the work could be done better. I enjoyed reading his candid reflections about life and work. Rating: Four-star (I like it) Click here to purchase Admissions from amazon.com. Virtuoso. Every time I finish reading a collection of poems, I think that I should read more poetry. 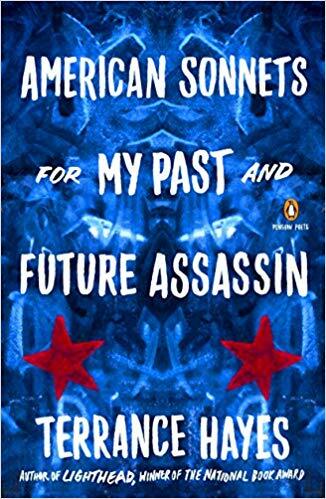 There are seventy poems in a collection by Terrance Hayes titled, American Sonnets for My Past and Future Assassin. All the poems have the same title. They were written during the early months of the Trump administration. There’s a wide range in this collection of sonnets: no two poems seemed connected. Surprises are on every page: high energy, creative wordplay, emotional depth. The structure is finely built, within each sonnet and in the organization of the collection. Fans of fine writing are those readers most likely to enjoy this well-written and creative collection. Rating: Four-star (I like it) Click here to purchase American Sonnets from amazon.com. Words. 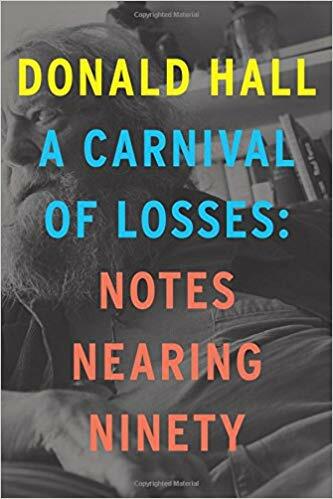 Fans of fine writing will be delighted by Donald Hall’s book titled, A Carnival of Losses: Notes Nearing Ninety. 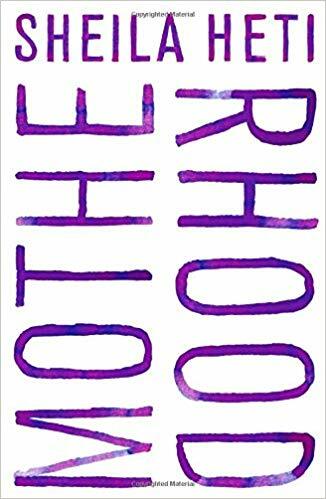 There are short and long reflections in this book, about people and places, that are so beautifully written in an unwavering voice that I found myself savoring the word choices and the wisdom of what is being recalled. His writing about his late wife, Jane, was profound and conveyed his deep pain of loss. Many of us lose our filters as we age, and what comes out orally or in print is painfully honest. Even in the lightest vignettes of this book, Hall shows off his great skills as a writer, an original and talented voice. Rating: Four-star (I like it) Click here to purchase A Carnival of Losses from amazon.com. Accountability. Your tax dollars and mine are being wasted on a private prison system that is largely unaccountable and at odds with our values and with most definitions of justice. Journalist Shane Bauer went undercover to work as a prison guard at a private prison in Louisiana. 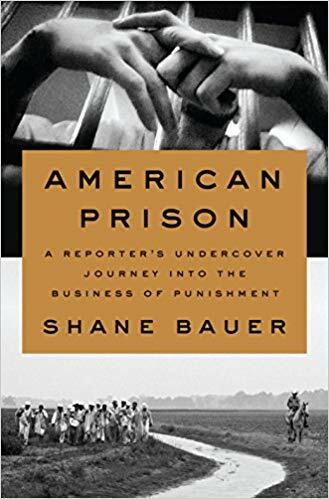 He first wrote about his experience in a feature for Mother Jones, and has expanded that work into a book titled, American Prison: A Reporter's Undercover Journey into the Business of Punishment. There are insights in this book about who is in prison and why, as well as insight about the people who work for and who run the private companies that run American prisons. I finished the book reflecting about a misalignment of interest between those interested in a fair system of justice and making money from running prisons. Rating: Four-star (I like it) Click here to purchase American Prison from amazon.com. Missing. 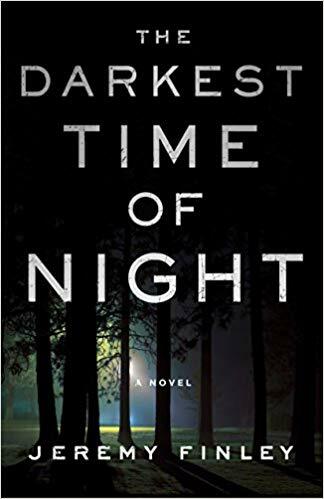 Fans of science fiction thrillers are those readers most likely to enjoy the debut novel by Jeremy Finley titled, The Darkest Time of Night. The action starts with a child gone missing. Before long, we learn that more than one child is missing. Finley builds the story one element at a time, postponing my reckoning with a less than willing suspension of disbelief. By the time the story turned sci-fi, I was engaged in the plot and with the characters and wanted to stay with the story to the end. After learning what happened to the missing, I was fully committed and enjoyed the novel to the end, despite nagging incredulity. Rating: Four-star (I like it) Click here to purchase The Darkest Time of Night from amazon.com. Ovid. 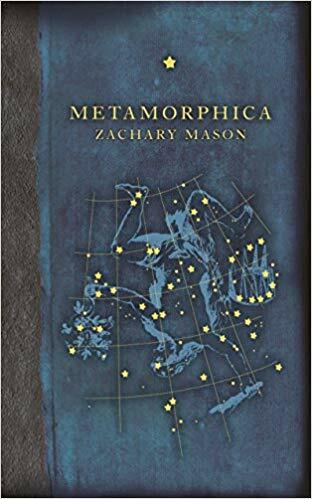 Having riffed on Greek classics in an earlier novel, Zachary Mason turns to the myths from Ovid in a novel titled, Metamorphica. His take on Ovid’s classic stories makes for lively reading, and some of the stories are presented in their violent starkness. Mason even adds Ovid as a character to open and close the novel. Mason’s take on these stories focuses on the fruitless and meaningless search for meaning in life. At the end, there is nothing. Perhaps because of that perspective, the familiar classical characters come across as hollow. For those readers who find our current times bleak, Mason echoes an emptiness from the past in this book, and he may speak, if not comfort, consistency to those readers. Rating: Four-star (I like it) Click here to purchase Metamorphica from amazon.com. Noir. Ken Bruen reprises protagonist Jack Taylor for a fourteenth time in a novel titled, In the Galway Silence. Fans of the series will find the troubled hard-drinking Jack more settled and contented than ever before, a situation which cannot possibly continue. 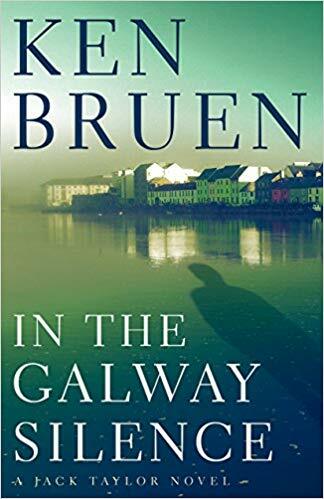 I enjoy Bruen’s sharp and dark wit, and the ways in which he can continue to develop a complex and fascinating character. Readers who enjoy noir crime fiction that’s well-written are those most likely to appreciate this novel and this series. Rating: Four-star (I like it) Click here to purchase In the Galway Silence from amazon.com. Ensemble. 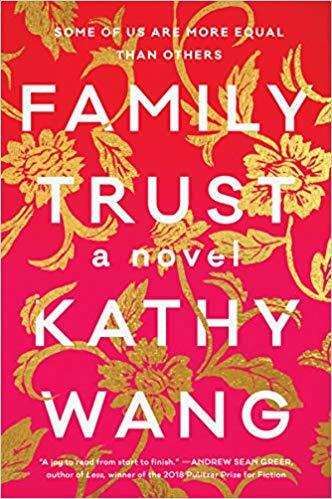 Kathy Wang’s debut novel titled, Family Trust, introduces readers to the very interesting Huang family, building each character with the complexity we find in people we know well. As patriarch Stanley Huang comes close to death, the truth or fiction about his wealth will be revealed. Of course, there is more to inheritance than money, and Stanley’s children, Fred and Kate, his ex-wife, Linda, and current wife, Mary, are all inheritors of Stanley’s love. Each character faces ambitions of one sort or another, with varying levels of achievement. Wang draws readers into a family that becomes more interesting as the novel progresses. Rating: Four-star (I like it) Click here to purchase Family Trust from amazon.com. Alive. 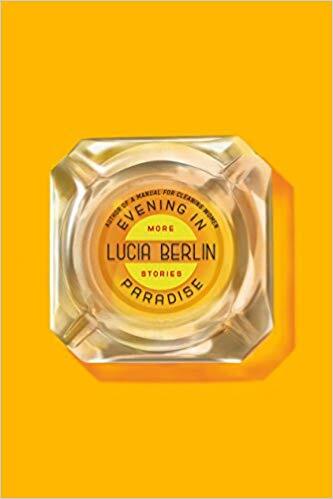 There are twenty-two short stories in a collection by Lucia Berlin titled, Evening in Paradise: More Stories. In each story, Berlin brings rich characters to life, and places them in settings that most readers will experience as captured with just the right amount of description to be recognized and understood. The range of settings is wide, and in each one, the places and people come alive for readers. When love is in the air, these stories soar. Berlin places women in some gritty situations and somehow or other, they remain cool, even glamorous. Fans of short stories are those readers most likely to enjoy this collection. Rating: Four-star (I like it) Click here to purchase Evening in Paradise from amazon.com. Liberation. Tell me the “real” story. Writers choose fiction, non-fiction or creative non-fiction, and readers judge stories no matter how they are categorized. 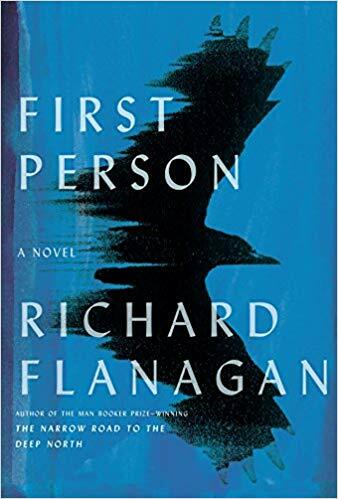 Inspired, perhaps, by an episode in his own life when he was asked to ghostwrite the autobiography of Australian con man, John Friedrich, Richard Flanagan has written a novel titled, First Person. Protagonist Kif Kehlmann is sorely in need of funds when he is asked to ghostwrite the autobiography of Ziggy Heidl, who is about to head to jail for defrauding banks. The deadline is to complete the project in six weeks. Kif can’t get Ziggy to keep a story straight and fears the project won’t be completed. The writing flows once Kif understands that he can make it all up. Flanagan writes with great skill and structures the novel with inflection points that propel Kif’s liberation. Readers who enjoy literary fiction are those most likely to appreciate this novel. Rating: Four-star (I like it) Click here to purchase First Person from amazon.com. Extreme. Many of us know the story of Ernest Shackleton and his journeys around the South Pole. 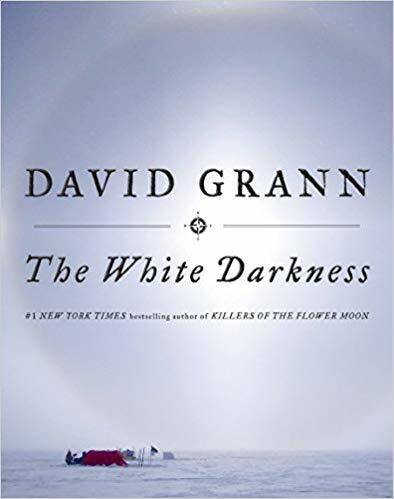 David Grann tells the story of a Shackleton admirer, Henry Worsley, in a book titled, The White Darkness. Worsley felt connected to Shackleton throughout his life, in part because he was related to someone who went to the South Pole with Shackleton. After retiring from the British army, Worsley teamed up with two other descendants of the Shackleton crew and went off to the South Pole in 2008. Still not satisfied with his obsession, Worsley returned in 2015 to walk alone across Antarctica. I read this book on cold days in Chicago and appreciated in a very small way the extremes that Worley faced on his journeys. Grann is a great writer and presented this story earlier in The New Yorker. I was as captivated on my second reading as I was on the first, at least as engaged as one can be in the warmth of one’s home. 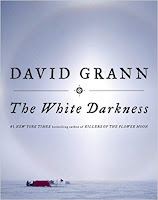 Rating: Four-star (I like it) Click here to purchase The White Darkness from amazon.com. Murder. What better escape from our violent times than a visit to the Greeks and the violence that envelops the family of Agamemnon. 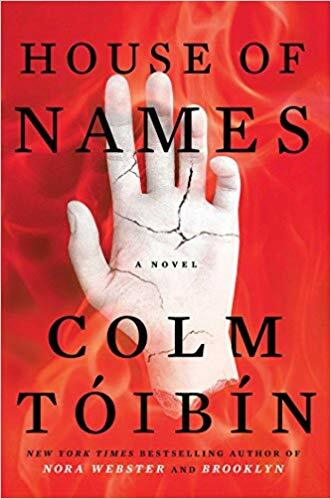 Colm Toibin leads readers from murder to murder in his novel titled, House of Names. Every reader familiar with the stories from Aeschylus and others will feel a freshness with Toibin’s immersion into these myths. He sends readers to ancient Greece in the middle of revenge killings and explores the human psyche with precision. Toibin is speaking to our times through this ancient story told in a fresh way in finely written prose. Rating: Four-star (I like it) Click here to purchase House of Names from amazon.com. Truth. 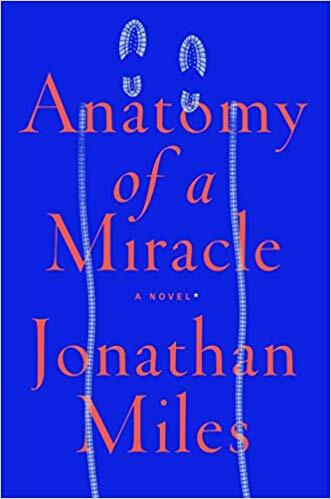 The clever structure of Jonathan Miles’ novel titled, Anatomy of a Miracle, supports the theme of his story. While fiction, the appearance and structure make the book seem to be a journalist’s report about real people and events. Four years after protagonist Cameron Harris returns to Biloxi, Mississippi as a paraplegic from a war injury, he unexpectedly gets up from his wheelchair and walks. What has happened? Is this a medical recovery or a miracle? Questions follow, along with celebrity and the uncovering of secrets. Miles captures the energy of our time in this novel leading all readers to wonder about the nature of truth, and how we know what is true. Rating: Four-star (I like it) Click here to purchase Anatomy of a Miracle from amazon.com. Misfire. 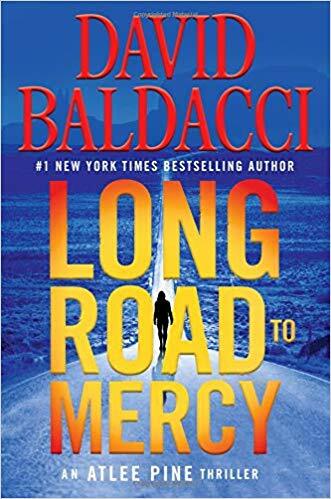 David Baldacci introduces a new series in a novel titled, Long Road to Mercy. FBI agent Atlee Pine is the protagonist of the series, and she is by no means an ordinary or average character. Her strength is extraordinary, thanks to weightlifting. We expect FBI agents to comply with the chain of command, but Pine doesn’t. In our usual world, agents work in teams, but Pine works solo, albeit with the able assistance of her competent secretary. With that backdrop of disbelief about the central character, Baldacci puts her into a heroic battle with global consequences in a situation while ripped from today’s news headlines came across as totally implausible. The third misfire for me came from the weak dialogue. The way all characters spoke in this novel rang hallow. Baldacci fans may be the readers most likely to enjoy this book. I’ve found him with hits and misses in the past and place this novel in the misfire category. Rating: Two-star (I didn’t like it) Click here to purchase Long Road to Mercy from amazon.com. Anxiety. Anxiety and fear can be debilitating but sometimes be pushed aside in service of some greater good. 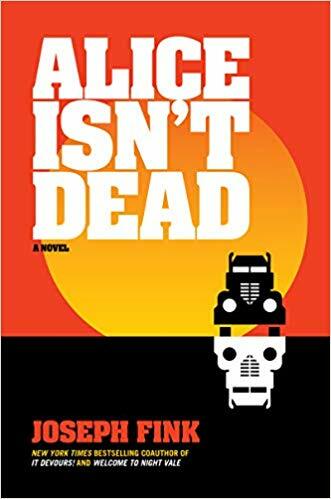 In Joseph Fink’s novel titled, Alice Isn’t Dead, protagonist Keisha suffers from anxiety and learns that she can push past that anxiety to do things she never imagined. Fink suffers from anxiety himself and proves in this novel and the podcast that preceded it, that anxiety can be managed. This is a horror novel with creepy creatures doing violent and gory things. Fans of that genre will find expected elements here, along with interesting and complex characters. Rating: Four-star (I like it) Click here to purchase Alice Isn’t Dead from amazon.com. Reframing. 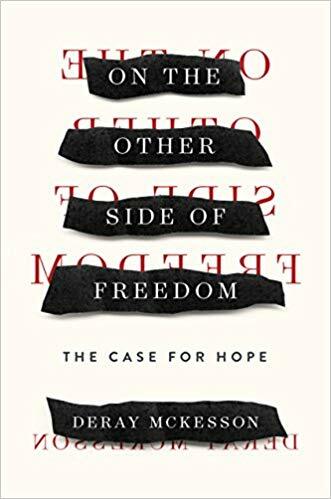 Civil rights activist DeRay Mckesson’s finely written book titled, On the Other Side of Freedom: The Case for Hope, reframes oppression, racism and injustice in ways that explain in a fresh way where we have come from and a path toward improved rights for those who have been left behind. This optimistic book offers powerful personal testimony. Mckesson proudly describes a world in which we all would want to live and offers hope that together we can build that world. Rating: Four-star (I like it) Click here to purchase On the Other Side of Freedom from amazon.com. Foster. 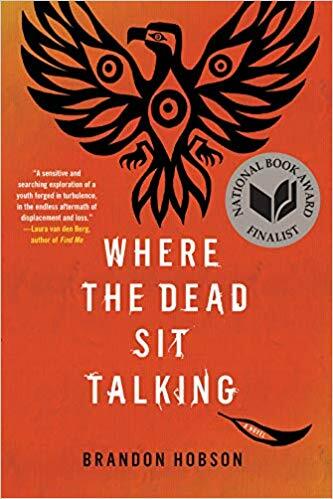 The narrator and protagonist of Brandon Hobson’s novel titled, Where the Dead Sit Talking, is a fifteen-year-old Cherokee boy named Sequoyah. After his mother lands in jail, Sequoyah ends up in foster care. Keeping in mind that our brains are not fully formed until we’re in our twenties, the reliability of Sequoyah as narrator should be challenged by any reader. I find I parked that skepticism as I examined life in a broken system as experienced by a young man wounded by life. Hobson’s prose is finely written, and this novel will appeal to those readers who enjoy literary fiction. Rating: Four-star (I like it) Click here to purchase Where the Dead Sit Talking from amazon.com. Sweet. 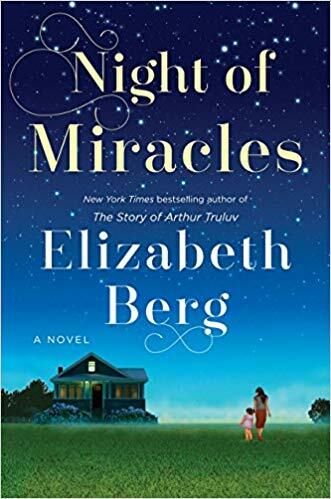 Any reader looking for a pick-me-up will feel terrific after reading Elizabeth Berg’s novel titled, Night of Miracles. Set in a small Missouri town, the novel reprises many characters from The Story of Arthur Truluv, although reading that novel is by no means a prerequisite for the latest novel. Friendship, kindness and love flow on the pages of this novel, and if selected by a book group, the conversation about this book will be upbeat, positive and sweet. Rating: Four-star (I like it) Click here to purchase Night of Miracles from amazon.com. Compassion. 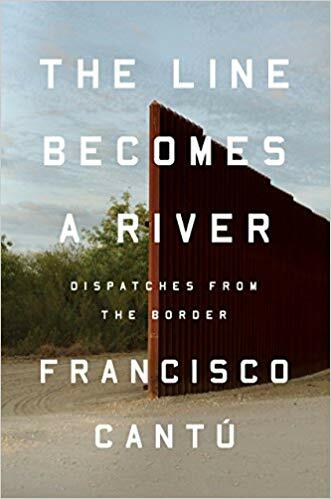 In a finely written book titled, The Line Becomes a River, Francisco Cantu presents his experience and the stories of others about the border between the United States and Mexico. Some of Cantu’s stories come from his time as a Border Patrol agent and others are from before and after that time. What this book does so well is humanize the complexity of the border and the politics associated with immigration. Readers enter briefly into the lives of individuals and their experiences, and the result for most readers will be an increase in compassion for people. Rating: Four-star (I like it) Click here to purchase The Line Becomes a River from amazon.com. Convergence. Fans of well-written literary fiction are those readers most likely to enjoy Sebastian Faulk’s novel titled, Paris Echo. While history speaks to informed walkers on every street in Paris, Faulks presents in this novel a specific connection between past and present in Paris. While Hannah is researching the oral histories of Parisian women who lived in the city during the Nazi occupation, she recalls her own experience in the city the last time she was there. She also gets to understand the echoes of the past through the eyes of her boarder, Tariq, who left his home in Morocco at age 19 and comes to Paris unaware of the connections between France and North Africa in the past. As both Hannah and Tariq narrate this novel, readers see convergence on many levels. 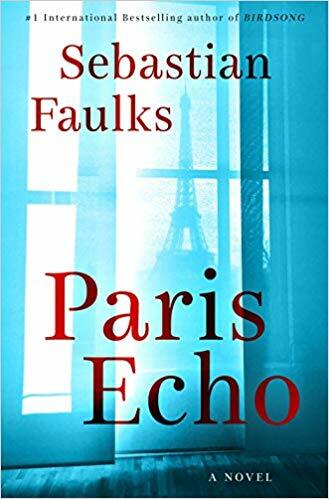 Visit Paris with Faulks in this novel and hear all the echoes for yourself. Rating: Four-star (I like it) Click here to purchase Paris Echo from amazon.com. Rehabilitation. 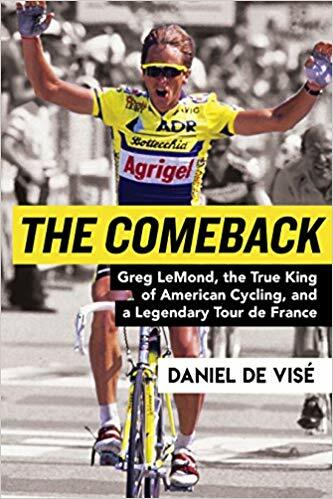 There are two comebacks for Greg LeMond in Daniel de Visé’s book titled, The Comeback: Greg LeMond, the True King of American Cycling, and a Legendary Tour de France. The first comeback is the story of Gerg LeMond’s recovery from a hunting accident to win the Tour de France by eight seconds in 1989. To put that race in context, de Visé tells us the story of LeMond’s life, from childhood on. He explains the world of cycling to those readers who may not understand the sport. The second comeback involves the rehabilitation of LeMond’s reputation following the story of doping in the world of professional cycling. Many readers will concur with de Visé by the end of this book that LeMond deserves a place at the top of the rankings of American cyclists. Rating: Four-star (I like it) Click here to purchase The Comeback from amazon.com. Secrets. Some readers like popular authors to stay in a narrow lane and expect legal thrillers from John Grisham. 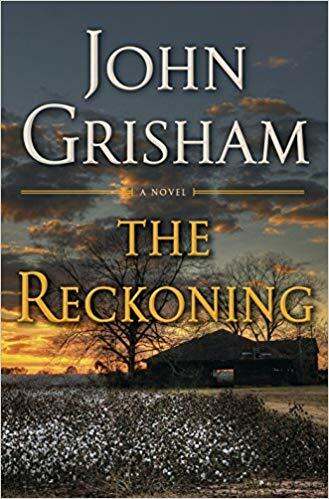 His latest novel titled, The Reckoning, contains a legal case and more and may test those loyal readers who may not enjoy the “more” part. A large section of the novel is historical fiction, especially about the Bataan Death March. A third aspect of the novel involves the deep exploration of family dynamics. I think the third was the most important one for Grisham, since he ends the novel (no spoiler) with these words: “what a family.” Family dynamics involved keeping secrets from each other, with dramatic consequences. The energy in the novel comes from the ways in which Grisham draws us into the lives of a lot of family members. The plot momentum comes from the progress of legal cases with major consequences for the family. I enjoyed all aspects of the novel: the history, the trials, and the family dynamics, and I am pleased that Grisham veered outside the narrow lane with this book. Rating: Four-star (I like it) Click here to purchase The Reckoning from amazon.com. Artifacts. The latest V.I. 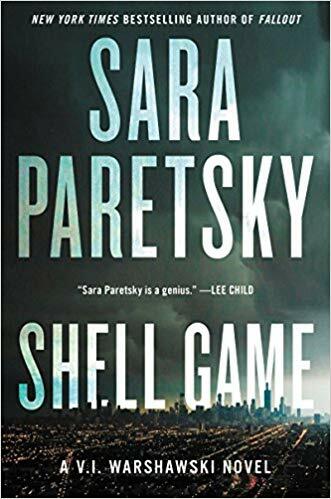 Warshawski novel by Sara Paretsky is titled, Shell Game. Fans of character-based crime fiction are those readers most likely to enjoy this novel and the series. One case in this novel is a personal one in which Vic is trying to help her friend Lotty’s nephew, Felix, clear his name from a murder accusation. A second case involves the disappearance of Vic’s niece, Reno. I can’t recall a novel in this series where Vic did so much unpaid sleuthing. Stolen artifacts spice up the action, as does the connection of Vic’s ex-husband to the case. Loyal fans will anticipate that Vic will solve the case and get in harm’s way while doing what she does best. Rating: Four-star (I like it) Click here to purchase Shell Game from amazon.com. Fans. 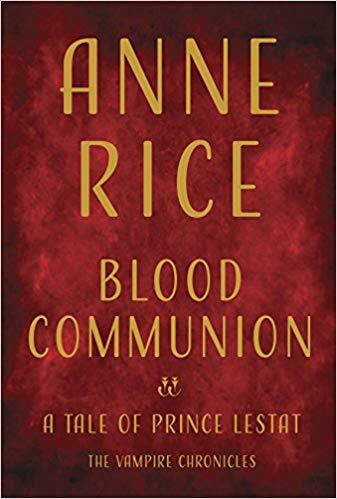 Longtime fans of Anne Rice’s Vampire Chronicles are those readers most likely to enjoy the latest installment titled, Blood Communion. The huge cast of characters might put off new readers, as would the references back to many earlier novels. This relatively short novel was quick to read, and since I’ve read the earlier novels, the large ensemble didn’t divert me from the current story. The series seems a bit tired to me, but while I’ve been a loyal reader, I’ve never been a huge fan. If you’ve liked the earlier novels or the movies, chances are you’ll enjoy this novel. Rating: Three-star (It’s ok) Click here to purchase Blood Communion from amazon.com. Soccer. 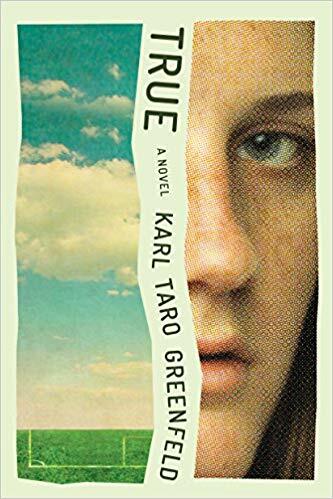 Athletes of any age will understand the protagonist of Karl Taro Greenfeld’s novel titled, True. Trudy, known as True, loves soccer more than anyone or anything. Her focus at becoming the best player in the world is challenged by her family life. What joy she finds in life comes on the field when she enters the flow of a game. If anyone in your life really, really loves playing a sport, reading this novel will help you understand why. Rating: Four-star (I like it) Click here to purchase True from amazon.com. Camp. 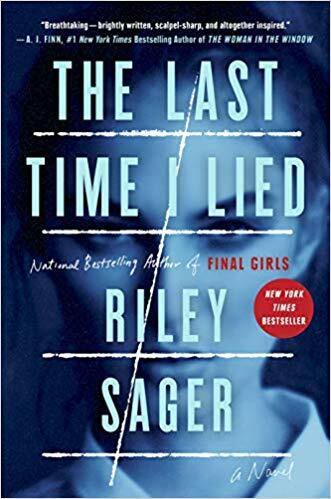 Riley Sager has set his thriller titled, The Last Time I Lied, in two time periods, now and fifteen years ago, at Camp Nightingale. Protagonist Emma was a camper there fifteen years ago when girls with whom she shared a cabin disappeared. When asked by the camp’s owner to return for the camp reopening fifteen years later, Emma agrees, in the hope that the mystery of the disappearance would get resolved. Sager provides the requisite twists and high levels of adrenaline producing tension. Fans of thrillers are those readers most likely to enjoy this novel. Rating: Three-star (It’s ok) Click here to purchase The Last Time I Lied from amazon.com. Septuagenarians. 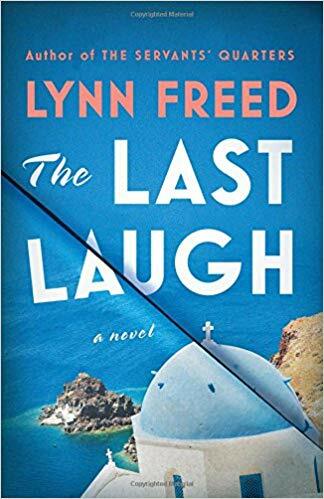 I think that talking about Lynn Freed’s novel titled, The Last Laugh, in a book club would be more satisfying than reading it. So, I suggest reading it quickly and focus on what you want to say about it to others. Three 70-year-old women decide to leave their families behind and spend a year together in Greece. Their imagined experience differed a lot from the reality, as lovers and children and grandchildren disrupt plans. There’s fun and paid work and wit during the year in Greece, and relaxed readers may find the whimsy entertaining. I read this novel over the course of a day and was mildly entertained. Rating: Three-star (It’s ok) Click here to purchase The Last Laugh from amazon.com. Weight. 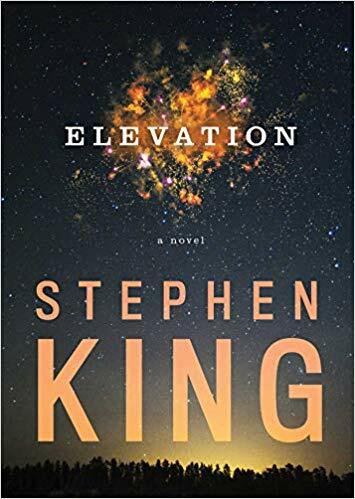 I love to read Stephen King’s weighty novels, and I am also delighted when he tells a story in shorter form because he never bloats his prose. I was thoroughly entertained by his novella titled, Elevation. Set in a familiar King setting, Castle Rock, the protagonist, Scott Carey, looks the same on the outside, but he is losing weight no matter how much he eats. Scott confides his situation with his friend, Doctor Bob Ellis, who measures and weighs Scott but can’t figure out why the weight loss is happening. In the meantime, small town life continues, and King tells a story of hope in which people who feel excluded can become “one of us.” Readers won’t spend too long reading this latest Castle Rock story but may think about it long after the last page is turned. Rating: Four-star (I like it) Click here to purchase Elevation from amazon.com. Witness. 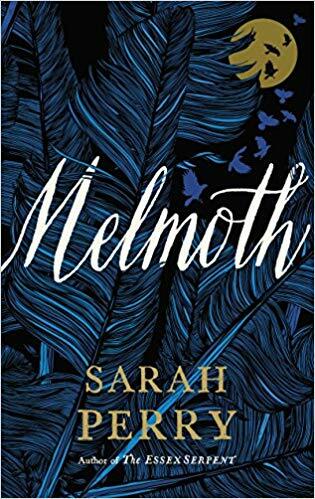 All the while I was reading Sarah Perry’s novel titled, Melmoth, I felt chilled. Was that because Perry tells a creepy ghost story in this book, or was it the beginning of a seasonal turn from autumn to winter? Melmoth appears in stories and myths as a wanderer who serves as witness as she watches. Protagonist Helen Franklin leaves England for Prague where she works as a translator. She comes across a letter that warns of Melmoth and while Helen thinks this is all fantasy, things happen that shake her views. Fans of atmospheric, gothic novels are those readers most likely to enjoy this one. Rating: Three-star (It’s ok) Click here to purchase Melmoth from amazon.com. Generations. 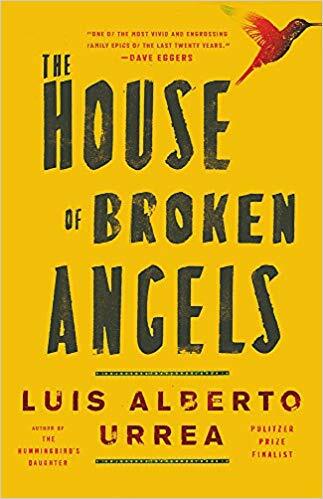 I felt like one of the revelers celebrating the lives of the extended de La Cruz family as I read the finely written novel by Luis Alberto Urrea titled, The House of Broken Angels. For gringos like me, this novel is a glimpse into the lives of a Mexican American family, crossing borders between Mexico and the United States with consequences. As a universal human story, it’s an insight into the relationships across generations: complex lives well-lived. The prose is finely written, the story engaging, and the characters well developed. Fans of great American stories are those readers most likely to enjoy reading this novel. Rating: Four-star (I like it) Click here to purchase The House of Broken Angels from amazon.com. Colossus. 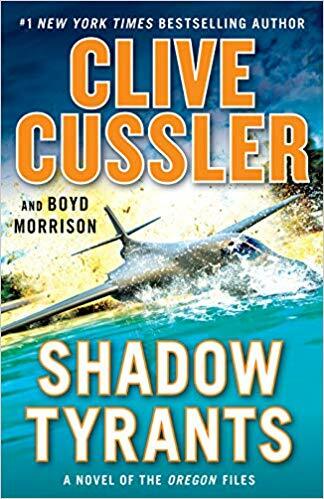 The thirteenth installment in Clive Cussler’s Oregon files series is titled, Shadow Tyrants. Fans of the series will get everything expected from this novel: Chairman Juan Cabrillo and his talented crew at the Corporation zip around the world going after the bad guys. We’re never in doubt about who will prevail. This time out even the villains are fighting other villains. Nine unknown wealthy men lead a secret society that has been passed down to descendants for thousands of years. They are working together on a project named Colossus that will lead to major changes in the world. They are taking the next step in artificial intelligence: creating a biological computer that will learn on its own. What could possibly go wrong? This and other Cussler formulaic fiction franchises provide some reliable entertainment for those readers who enjoy an exciting story with a clear beginning, middle and end. Rating: Three-star (It’s ok) Click here to purchase Shadow Tyrants from amazon.com. Unsettled. 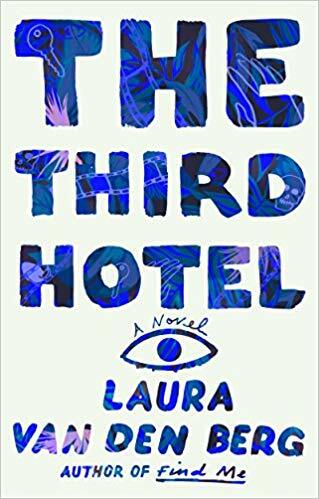 From the beginning to the end of Laura van den Berg’s novel titled, The Third Hotel, I was unsettled. There’s a fluid movement from reality to the supernatural or surreal. Imagination blends with the physical world. A setting in Havana adds some mystery and an inability to become comfortable. I was propelled and pummeled by van den Berg’s fine writing, leading me to reread some sentences. Marriage, sorrow, love, loss, and grief are all offered on the pages of this novel for readers to sort out. Has protagonist Claire really seen her dead husband, Richard, in Havana at the film festival he had planned to attend? Is our life a horror movie? Readers who enjoy literary fiction and who can become comfortable with being unsettled and ending the book with uncertainty are those most likely to enjoy this finely written novel. Rating: Four-star (I like it) Click here to purchase The Third Hotel from amazon.com. Cooked. 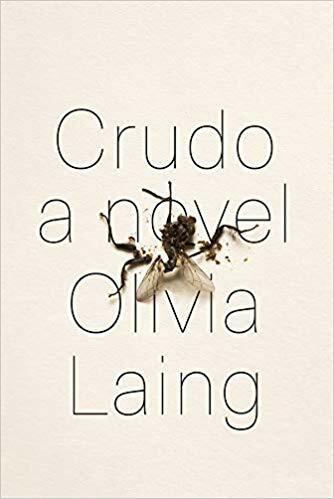 If the title of Olivia Laing’s novel, Crudo, refers to things raw, the prose within is cooked with all the finest ingredients of experimental literary fiction. Is the protagonist Kathy the real Kathy Acker, a punk artist who died in 1997? Probably not since the novel says it’s set in 2017. Citations from the index that identify chosen texts show lots of Acker. Maybe Laing is exploring in fiction what difference there is between life and death. Acker comes and goes while protagonist Kathy gets married and basks in the Italian sun in sumptuous luxury. Readers looking for plot and clarity with a beginning, middle and end will find nothing of the sort on these pages. Instead, this short book takes readers on an adventure of words. Every seeming tangent brings a new nugget to lovers of finely written prose. If you’re that kind of adventurous reader, you’re likely to love this novel. Rating: Four-star (I like it) Click here to purchase Crudo from amazon.com. Rocco. 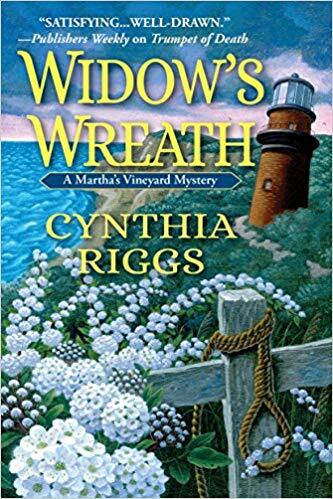 The fourteenth Martha’s Vineyard mystery by Cynthia Riggs is titled, Widow’s Wreath. Fans of the series will enjoy spending more time with 92-year-old Victoria Trumbull. In this installment, she has agreed to host a wedding reception for her cousin, Penny, who thinks her fiancée, Rocco, is wealthy. Rocco thinks Penny is wealthy. Both are sorely mistaken. Murder is afoot, and Victoria is in the middle of things, as usual. Fans of the series are those readers most likely to enjoy this installment. I was pleased to reach the ending and recognize that the case is closed. Rating: Three-star (It’s ok) Click here to purchase Widow’s Wreath from amazon.com. Violence. The first time I visited Richmond, Virginia, a friend living there gave me the right context for understanding the place: the past jumps out from every corner and pokes you. 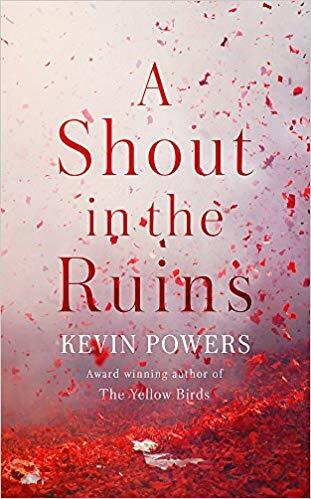 Kevin Powers writes about the past in Virginia in his novel titled, A Shout in the Ruins. The book is set in two time periods: the civil war and its aftermath; and in the 1950s. Powers writes about violence and war with a blend of immediacy and distance: you are there in the gore and you are detached from it. The horrors of slavery and war are presented with unblinking calmness. Readers who enjoy literary fiction are those most likely to enjoy reading this novel. Rating: Four-star (I like it) Click here to purchase A Shout in the Ruins from amazon.com. Community. 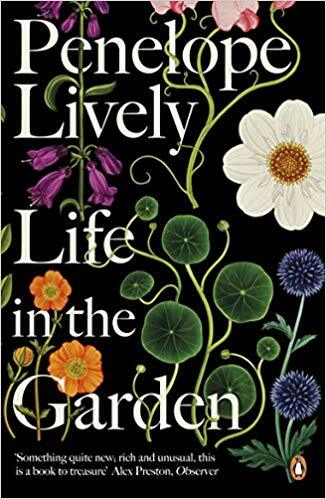 Fans of Penelope Lively’s novels and gardeners are those readers most likely to enjoy her book titled, Life in the Garden. Her reflections about gardening become insights about community, connections to nature, and reflections about different gardens throughout her long life. I think we never have too much beauty in our lives, and the smallest garden can become a place where beauty is found. Lively reflects on her well-spent life using the gardens as our guide in telling that story. Rating: Four-star (I like it) Click here to purchase Life in the Garden from amazon.com. Sophocles. 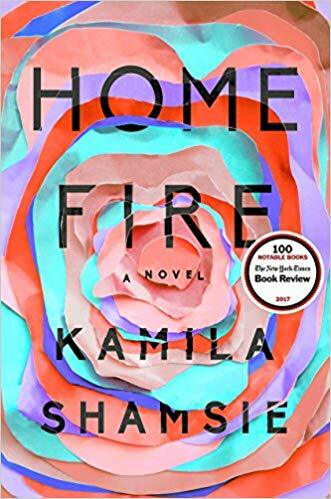 Kamila Shamsie’s novel titled, Home Fire, offers readers a contemporary version of Antigone. Siblings are strongly bound together, while tension and conflict pull them in multiple directions. Every character is complex and fully developed, and Shamsie’s prose is finely written. Readers who enjoy literary fiction are those most likely to enjoy this novel. Rating: Four-star (I like it) Click here to purchase Home Fire from amazon.com. Natural. 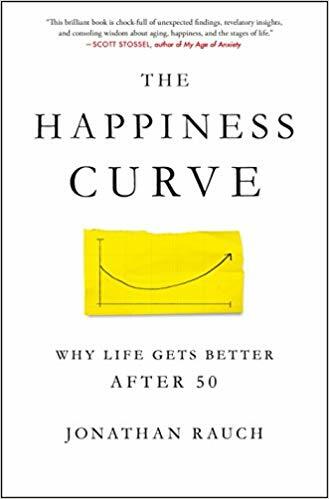 The middle stage of life has often been referred to as a “crisis.” Using lots of data in a book titled, The Happiness Curve, Jonathan Rauch describes this part of life as a natural and essential slump that leads to an incline toward greater happiness. One friend of mine many years ago called his midlife transition a period of “values clarification.” Rauch would agree. If you’re in a midlife slump, relax. It gets better. Read the book and understand how and why. Rating: Four-star (I like it) Click here to purchase The Happiness Curve from amazon.com. Mission. 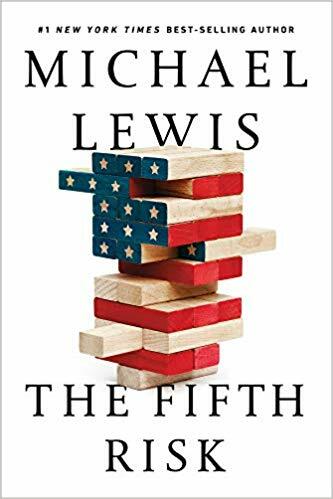 Two readers holding different viewpoints should both read Michael Lewis’ book titled, The Fifth Risk. If you believe that the government can’t do anything right, read this book. If you believe that government workers are public servants engaged in carrying out a mission, read this book. Lewis gives readers a peek into three parts of the government within the departments of commerce, energy and agriculture. He explains the real contributions to American life that these parts of the government perform and introduces us to the passion and expertise of people who work for the government and for our citizens. There’s a lot to learn about the good things that the government does, and this book scratches the surface for a few little-appreciated parts of the government. Every citizen, especially those who pay taxes, should consider reading this short book to help reflect on the work being performed for all of us. Rating: Five-star (I love it) Click here to purchase The Fifth Risk from amazon.com. Heroine. 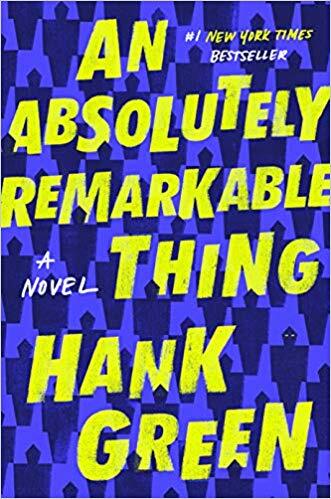 The debut novel by Hank Green titled, An Absolutely Remarkable Thing, will attract many different readers for lots of good reasons. Those who follow Hank’s YouTube videos with his brother, John, will want to see what fiction from Hank looks like. Fans of science fiction will enjoy the plot in which giant figures appear at the same time in dozens of cities around the world. Readers who enjoy a well-told story will like the ways in which twenty-three-year-old protagonist and heroine April May deals with unexpected fame thanks to social media. Green tells the story with wit, empathy and insight into human behavior. I enjoyed every aspect of this novel. Rating: Four-star (I like it) Click here to purchase An Absolutely Remarkable Thing from amazon.com. Headlines. 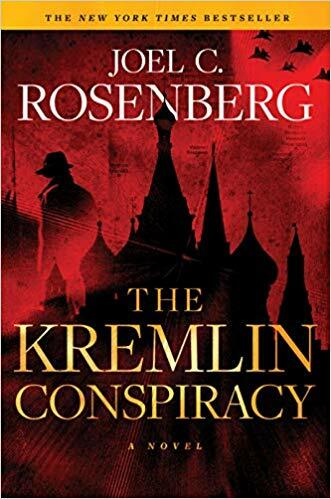 Readers who enjoy political thrillers that seem pulled from newspaper headlines are those most likely to appreciate the novel by Joel C. Rosenberg titled, The Kremlin Conspiracy. A Russian President, not unlike Putin, plots to restore Russian greatness, while deceiving the world with various forms of treachery. Rosenberg’s protagonist is Marcus Ryker who served with distinction as a Marine in Afghanistan, and as a Secret Service agent. The pace of this thriller never lets up, and there are enough twists and surprises to delight most readers. Readers who look to novels for escape may find this fiction too close to reality to provide any welcome comfort. Rating: Four-star (I like it) Click here to purchase The Kremlin Conspiracy from amazon.com. Detour. 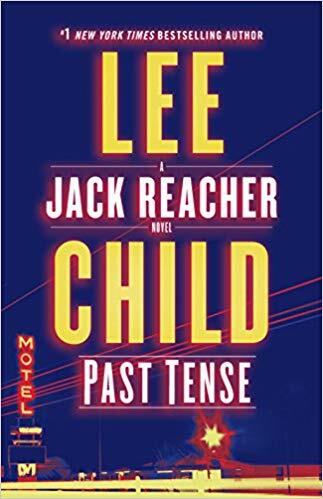 Now that I’ve finished reading the 23rd Jack Reacher novel by Lee Child titled, Past Tense, I feel a certain loss, knowing it will be about another year before the next installment is released. Fans of the series will find lots to enjoy in the latest 400 pages of the life of a finely developed complex character. New readers can start here or anywhere in the series and find a great heroic character: a person who lives by a code of conduct and morality and acts in ways consistent with that code. In this novel, Reacher takes a detour on the way from New England to San Diego to visit the town where his father was born. By the end of the novel, Reacher learns things about his father, Stan, and sees the place where his father was raised. Along this journey toward his roots, there’s lots of malfeasance that Reacher stumbles across and addresses with all his skills and focus. Fans of action thrillers will love this novel and this series. Rating: Four-star (I like it) Click here to purchase Past Tense from amazon.com. Poet. What words would any of us choose to examine our life? If we were the award-winning poet Gregory Pardlo, we would select words that match our message perfectly. 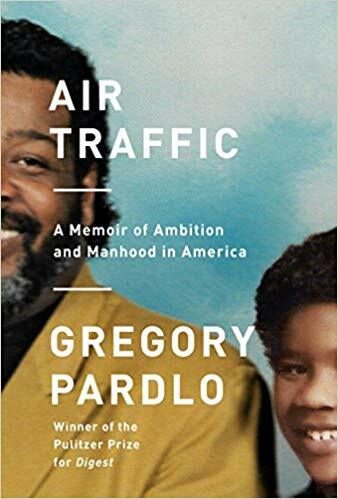 In his book titled, Air Traffic: A Memoir of Ambition and Manhood in America, Pardlo reflects a lot about fatherhood: himself, his father, and his grandfather. To place these complex individuals in context, Pardlo tells us about their work, their choices, the setbacks and advances of lives, like ours, packed with ups and downs. The title refers to the role of Pardlo’s father as an air traffic controller. Family life changed forever after President Reagan fired striking controllers, including union leader Pardlo. Young Gregory was formed during the up and down years and his reflections are introspective and wise in this finely written book. Rating: Four-star (I like it) Click here to purchase Air Traffic from amazon.com. Satire. 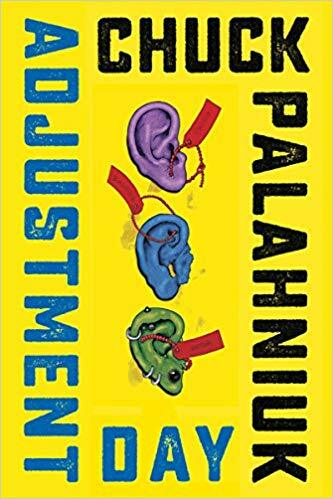 Fans of Chuck Palahniuk are those readers most likely to enjoy reading his latest satire, a novel titled, Adjustment Day. Palahniuk has the ability to poke right at the heart of the divisions in society, drawing your brain into twisted ways in which tables are turned. Things don’t have to be the way they are. They could be much, much worse. The novel twists the tension in many of our divisions: race, class, age, sexuality, and describes another cultural model. Rating: Four-star (I like it) Click here to purchase Adjustment Day from amazon.com. Outsiders. 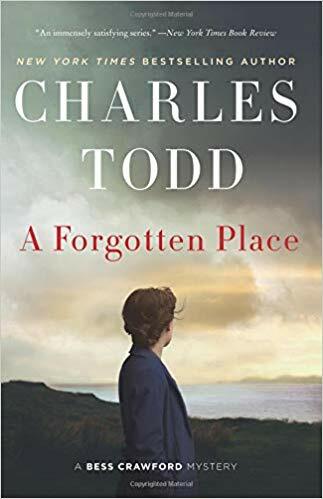 The tenth book in the Bess Crawford mystery series by the mother-son writing team called Charles Todd is set in Wales and titled, A Forgotten Place. While the World War has ended, Bess’ nursing work continues. After caring for a group of wounded men from Wales, Bess becomes concerned for their survival and reentry to society, since they may not find jobs. While on leave, she follows up on a letter from Captain Williams, and tracks him down in a remote village in Wales where he is living with his widowed sister-in-law, causing tongue wagging in this secretive community that considers him an unwelcome outsider. Bess finds herself stranded in Wales where there is a murderer at large. Excitement follows. Fans of mysteries and this series are those readers most likely to enjoy this novel. Rating: Four-star (I like it) Click here to purchase A Forgotten Place from amazon.com. Progeny. 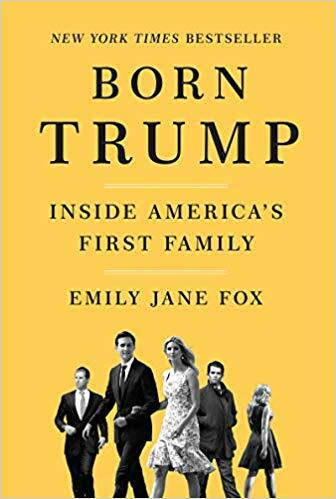 Put aside whatever you think about President Donald J. Trump, pro or con, as you read Emily Jane Fox’s book titled, Born Trump: Inside America’s First Family. During parts of this book, I felt as if I had already known more than enough about the Trump children, and during other parts, I gained new perspective on what it is like to be the child of Donald Trump. I have no idea what sources Fox used to write this book, but I read it quickly and came away with some insight. Rating: Three-star (It’s ok) Click here to purchase Born Trump from amazon.com. Confusion. In her novel titled, Motherhood, Sheila Heti captures the struggle of a woman trying to decide whether or not to have a child. Confusion is present on multiple levels: in the questions the woman asks, and in the structure of the novel that mirrors internal confusion. Readers get to spend time with a first-person narrator living her everyday life while struggling with this key question. Modern life is not quite straightforward, and Heti captures the absurdity of expecting simple answers by asking coins to answer yes or no to questions. Rating: Four-star (I like it) Click here to purchase Motherhood from amazon.com.